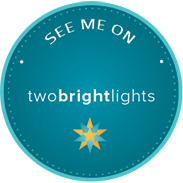 Hi blog readers! I am beyond excited to share with you all some photos from an inspired wedding shoot that took place last month! I got engaged to the love of my life (Kevin) last August, and although we decided to elope, we wanted to celebrate our love with family and friends somehow. The thought of an inspired shoot with me as the bride, Kevin as the groom, our friends posing as bridesmaids and groomsmen, as well as family posing as guests came to mind. Once the idea was planted in my mind, I couldn't contain my excitement at the challenge of pulling off such a huge event! However, I'm not one to shy away from a challenge, so I started planning last October. Once the color palette was decided upon and a mood board was created, I reached out to some wedding vendors to see if they would like to collaborate on the project. Imagine my excitement when some amazing and talented vendors were on board with my vision. I am so thankful that they contributed their time, talent, and products. 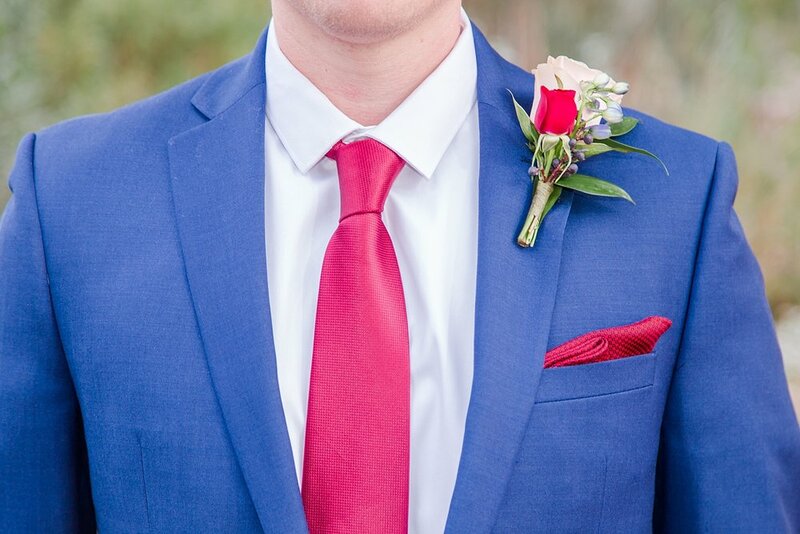 We asked our family and friends to come dressed in colors to fit our mood board and they did not disappoint! The beautiful Legacy Golf Resort. 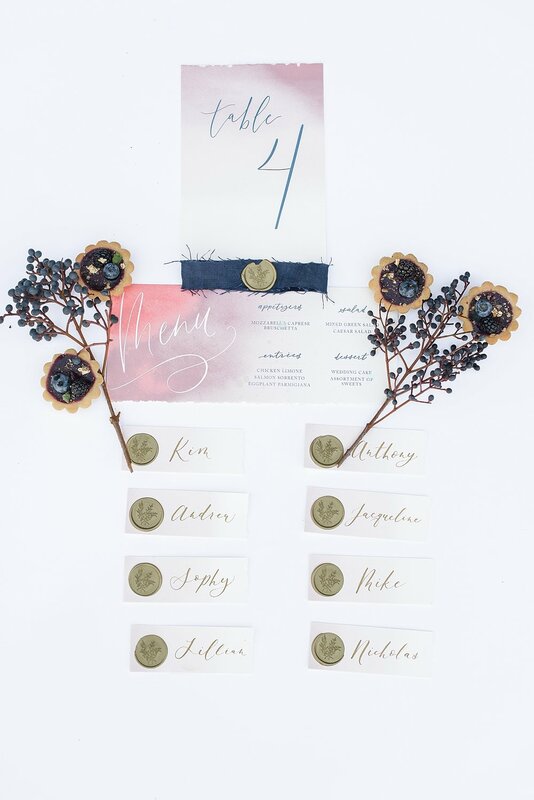 The elegant calligraphy by Holly of Sablewood Paper Company really elevated the stationery to another level. She custom made the invitation suite to showcase the Legacy Golf Resort as well as fun places to visit nearby. I highly recommend her for all of your wedding stationery needs. For more information and to see more of her beautiful work, please visit here. I had so many ideas on how to photograph Holly's beautiful work, but have to admit this shot is my favorite! Pictured here are my Badgley Mischka shoes, ring box by The Family Joolz, delicate hand dyed silk ribbon from Paperie and Silk, Holly's gorgeous stationery, and loose florals from Aubri of AZ Flower Fix. These Bride and Groom hangers were provided by Rita ofHangers by Rita - aren't they pretty? To order your custom hangers from Rita, please visit here. My hair and makeup were done by Daisy of 'Beautified by Daisy'. She asked if I liked having big hair and dramatic makeup - I said yes, and she worked her magic! She definitely knows which look works well for her clients, so if you're ever in the market for a HMUA, please don't hesitate to contact her. To see more of her work, visit here. Ahh...my beautiful friends! I have known these ladies for so many years and am so blessed to have them in my life. We have been through so much together, and there was no hesitation when I asked them to participate in the wedding shoot as my 'bridemaids'. They were fully onboard...don't they look absolutely gorgeous?! Their makeup was done by Landysh - you can find out more info about her here. My now husband, Kevin! He's truly the best man I know! Left: Beautiful wedding cake, French macarons and dessert table provided by Sonia of "Antigo Cakes'. Right: Beautiful sweetheart farm table and upholstered chairs provided by Elegant Farmhouse Designs. The beautiful 10’ farm tables were provided by 'Elegant Farmhouse Designs'. The tables have a dark walnut stained top and white distressed table base. The classic style of table and the choice of finish went really well with the tablescape! To find out more about Elegant Farmhouse Designs and their inventory, please visit here. 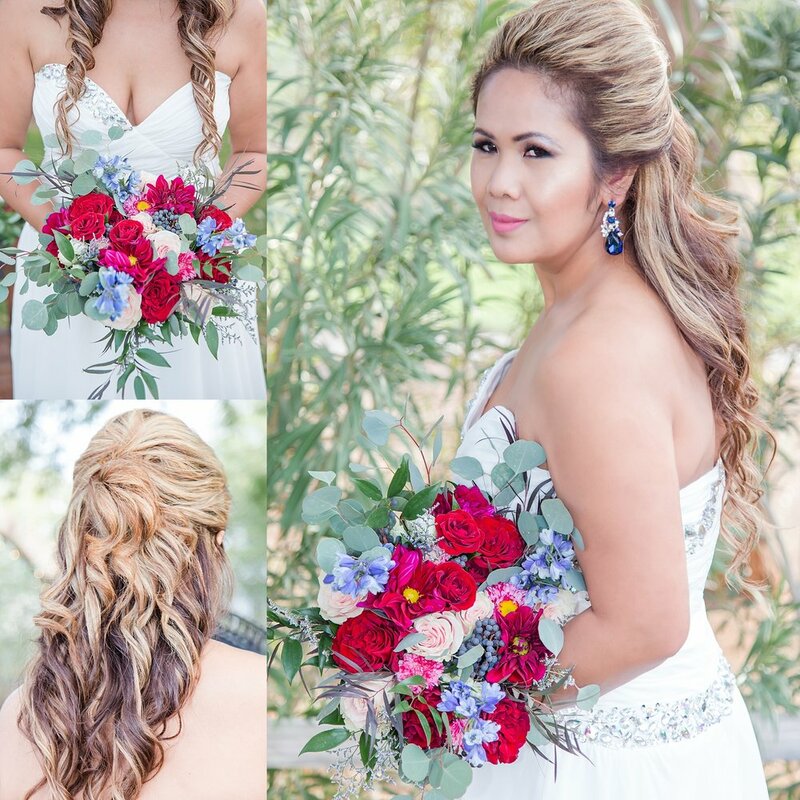 The gorgeous florals were provided by Aubri of 'AZ Flower Fix' based out of Litchfield Park. Aubri used burgundy heart roses, pink Mondial roses, dahlias, delphiniums, asters, spray roses, privett berries, eucalyptus, Italian ruscus and agonis in all the arrangements. She wanted to highlight the burgundy and navy of the wedding colors by incorporating the blush pink, medium pink and gold. The added colors give a depth to the overall scene that makes everything else pop. I highly recommend AZ Flower Fix for all your wedding floral needs. To see more of her gorgeous work, please visit here. Ahh...isn't this display just scrumpalicious? Veronica of 'Dessert First by Veronica' is one talented lady! I just told her which dessert items I wanted as well as our color palette, and she worked her magic! These mini desserts were a hit with everyone. To see more of her delicious creations, please visit here. This gorgeous and edible two tiered wedding cake was made by Sonia of 'Antigo Cakes'. The first tier consists of a rich chocolate cake with chocolate mousse filling, and the second tier consists of champagne cake with strawberry mousse filling. The cake was covered in Royal Blue buttercream frosting and finished with delicate gold leaf flakes and fresh flowers. I had a slice of the champagne w/ strawberry mousse filling and LOVED it...so delicious! Sonia also provided the elegantly styled dessert table and delicious French macarons (my personal favorite). To see more of her beautiful work, please visit here. My nephew (Lincoln) and Tina's daughter (MacKenzie)...two of our youngest models! Aren't they just adorable? MacKenzie has perfected the duck lips! That's Kevin's Dad (Andrew) posing as the officiant for the wedding ceremony. We were all cracking jokes as we stood there. The adorable little girls standing with us are MacKenzie and Reese...they wanted to be part of the action. We loved the Sierra Vista House, one of the ceremony/reception spaces offered by the Legacy Golf Resort. Kelli Walsh of 'Legacy Weddings and Events' is such a joy to work with! Don't hesitate to contact her if you're looking for a venue to host your wedding - they offer different packages at competitive rates! For more info, please visit here. I love this photo of everyone together! Looking back, I feel kinda amazed that we were able to pull it off! Me and my crew! Love these ladies! Left: Photo of Andrew and Jacqueline, Kevin's dad and mom. They were such a HUGE help on the day of the event - love them so much! Jacqueline looked so beautiful - her hair and makeup were also done by Daisy of 'Beautified by Daisy'. Right: Photo of my mom, who looked very healthy and happy that day. She is in her 80s and her health is not great, so having her with us at the wedding shoot was such a great blessing. The lovely people pictured above are our family and friends. I really loved the fact that everyone dressed up and we were able to get photos that we otherwise may not have. Thank you family and friends!